Read on to find out more about this beautiful gemstone. Ruby is a variety of a mineral called corundum. This contains chromium which causes the stone’s colour. The more chromium present, the stronger shade of red. Few rubies actually grow large enough to crystallise and become quality gems. Because of this rarity, rubies can bring higher prices than diamonds. The world's main source of the gemstone has been Myanmar for centuries and many of the finest rubies have been found here. But rubies have been mined in many countries. Thailand, Brazil, Colombia, India, Japan, and Scotland are just a few examples. Rubies found in Thailand have a less desirable brownish-red colour. Because of this, they can be heat treated to improve their colour and also transparency. Being a corundum, rubies are very similar to sapphires, as they are the same mineral. The difference is that Sapphire refers to all colour varieties of the mineral, except red. The red kind is of course known as Ruby. Rubies range in hues from purple-red to orange-red. The most desirable colour is purple-red because these rubies have a vibrant and vivid colour. They are very durable stones landing a 9 on the Mohs Scale. Diamond is the only natural gemstone which is harder than a Ruby. Their toughness makes them quite easy gemstones to care for. Yet don't wear rubies when using harsh chemicals or doing rough work, as they can become damaged. 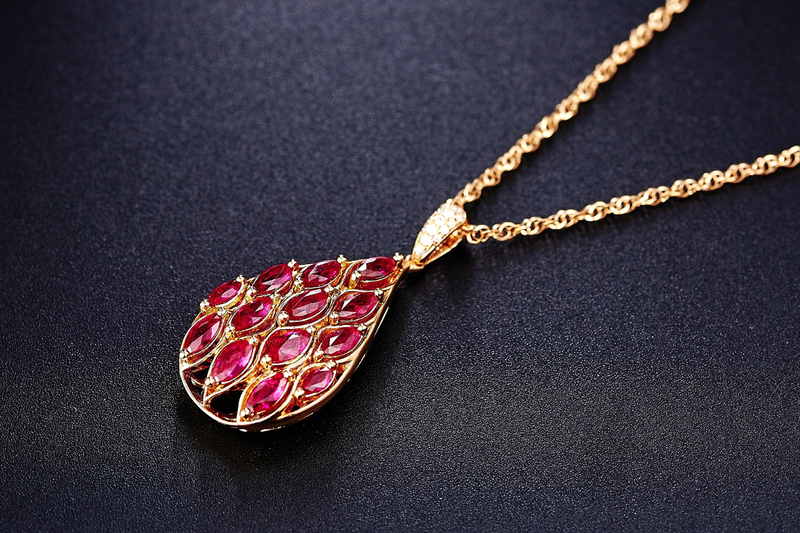 Throughout history, the Ruby has been a talisman in many cultures. It's said to have the charm of passion, protection and prosperity. Ancient Chinese and Hindu noblemen would adorn their armour with rubies. This was because they believed the gems would provide them with protection in battle. It is also said that rubies represent love, health and wisdom. Additionally, they can help to improve motivation in setting new goals. This is because a Ruby can bring a positive and courageous state of mind to the wearer.